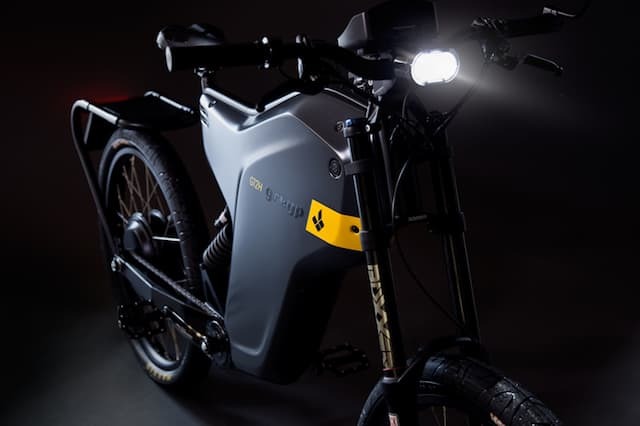 Rimac Automobili owned, Croatia based Greyp Bikes has announced its latest bike that can do 240 kilometers on a single charge. Named 'Greyp G12H', the bike was unveiled at INTERMOT show in Germany. The pretty looking G12H draws the same design philosophy as Rimac's 'Concept One' supercar and promises to be an attention grabber on the streets. Kresimir Hlede, the chief operating officer at Greyp Bikes is confident of taking over the competition by the end of the year. Hlede informed the media that the actual range and capacity of the battery will be determined by the configuration of the bike you choose. The maximum range being offered is 240 km with a 3 kWh battery. The G12H premium model has the rated top speed of 45 km/h. Hlede further said that with the range way over the 'magical 200 km on single charge' limit, the bike can be a perfect commute option for daily office trips. We do not have official information about the price of the G12H, but given the $9400 price tag for Greyp's G12S, the new bike won't certainly be cheaper. It's got almost double the battery size over the G12S. The USP of the G12S continues to be its 70 kmph speed.